BAMU Time Table 2019 has been released. Candidates can check BAMU Exam Time Table on this page. The exam date, date, time, examination classes name, paper code and subject title can be checked from BAMU Exam Time Table pdf. The examination will be conducted in two session Morning and Evening. Candidates are also informed that all the exam shall not be conducted in two sessions it applicable for few subjects so check the timetable carefully for exam session and time. Candidates who have submitted the exam form along with the fees will be eligible to write the semester exam. Check the page to know more about the BAMU Digital University Exam Time Table. Latest: BAMU University has released the revised timetable for April / May 2019 Examination. Also, for BAMU Hall Ticket 2019 – Click Here. Candidates are advised to keep in touch with their College/ Institution/ University/ Department for knowing the latest rules, information updates etc. regarding examinations. For some courses, the Practical work / Term work / Project work / Industrial Training Work / Internship / Six Month Certificate Course in Environmental Science/ MS-CIT/ Certificate Course in Computer Science is required to be completed before the student appears for the final Examination. Time Table: Click Here to check BAMU Time Table 2019. 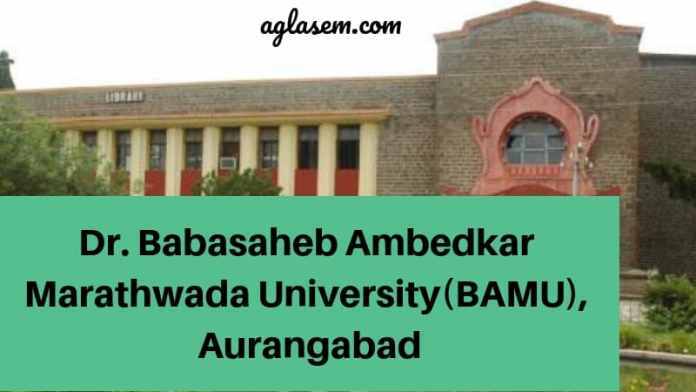 BAMU Time Table 2019 – How to Check? Candidates appearing for the semester exam can check the timetable through the link provided above. Candidate needs to click the link and check the exam pdf to know the exam date. The candidates can follow the steps mentioned to check the BAMU Exam Time Table 2019. Faculty of pharmacy offers Masters of Pharmacy and Pharm.D. courses. The university holds its semester wise exams for which the timetable of all the 4 semesters of the Masters of Pharmacy and the 3 years programme Pharm.D. will be uploaded on the website at http://bamua.digitaluniversity.ac in the following manner. The exam will be of 3 hours duration. The Faculty of Arts offers courses like- Advance Diploma in Chinese, French, Russian, B.A. (Journalism & Mass Communication), B.Voc. (4 semesters), M. Phil. Urdu, Master of Arts (Hindi), Urdu, History, Marathi, Political Science, Arabic, Pali & Buddhism, Sanskrit, Bachelor of Arts, M. Phil. English. Faculty of Commerce offers courses like- B.Com (E-Commerce), M.Com(E-Commerce), Master Of Commerce, Master of Philosophy, Diploma in Business Management, Bachelor of Commerce Applied, Bachelor of Commerce Applied. Undergraduate is of 6 semesters and Postgraduate is of 4 semesters. Faculty of Education conducts exams for the following courses:- B.Ed(S.E. )MR or ID & Inclusive Education, B.Ed.(S.E.) HI & Inclusive Education, Master of Education, Bachelor of Education. Faculty of Engineering offers courses in the following disciplines:- Bachelor of Engineering (Biotechnology, Civil, Chemical, Computer Science & Engineering,Electrical and Electronics Engineering, Electronics, Electronics & Telecommunication, I & CE /IE, Mechanical, M.E. (Automation), M.E. (CAD/CAM), M.E. (Computer Networking Engineering),M.E. (Computer Science & Engineering), M.E. (Control System Engineering), M.E. (Digital Communication Engineering), M.E. (Electrical Power Systems), M.E. (Electrical Drives & Control), M.E. (Embedded System), M.E. (Heat Power), M.E. (Manufacturing Engineering) etc. Exams of 3 hours duration for these courses will be held. Faculty of Engineering & Technology offers courses in the following disciplines Bachelor of Architecture, Bachelor of Technology- (Civil Engineering/ Agricultural Engineering/ Computer Science & Engineering/ Electrical Engineering/ Instrumentation & Control Engineering/ Electronic & Telecommunication Engineering). The complete schedule containing the paper and their code, start time of the paper, end time of the paper was indicated on the official website in the Faculty of Engineering & Technology section. B.A. Additional Music, B.A. Dance-Regular, Bachelor of Performing Arts-Regular, Master of Arts Music-Regular, Master of Fine Arts – Painting-Regular, Bachelor of Fine Art-Textile Design-Regular, Master of Fine Arts Applied Art (Typography) Branch, Master of Fine Arts – Portraiture-Regular are the courses offered by Faculty of Fine Arts. The university holds the internal exams in semesters on a regular interval. A schedule is uploaded on the website for the candidates to check so that they can appear for their exams on time. The timetable for these courses will be uploaded as per schedule decided by the university. The exam will be of 3 hours duration. Faculty of Science offers courses in B.Sc Bioinformatics, B.Sc. Automobile Maintenance, B.Sc. Forensic Science, B.Sc. (Honors) (Biochemistry)-Regular, B.Sc. (Honors) (Computer Science)-Regular, B.Voc. (Horticultural Science)-Regular, B.Voc. (Jewellery Design & Gemology)-Regular, B.Voc. (Multimedia and Animation)- Regular, Bachelor of Computer Application-Regular, M.Sc. Botany-Regular, M.Sc. Chemistry (with Credits)-Regular, M.Sc. Electronics-Regula,M.Sc. Env. Science-Regular, M.Sc. Herbal Technology-Regular, M.Sc. Industrial Automation-Regular, M.Sc. Plant Biotechnology- Regular, Master of Philosophy (Computer Science)-Regular, Master of Science Biochemistry- Regular, Master of Science Zoology-Regular, B.Sc. Networking and Multimedia-Regular etc. Courses offered by Faculty of Social Sciences are:- B.A. International Journalism, Bachelor of Library & Information Science, M.A. (Journalism & Mass Communication), M.A. Women’s Studies, Master of Arts Mass Communication and Journalism, Master of Liberal Arts, Master of Social Work, Master of Arts Public Administration, M.Phil. Library & Information Science, Thoughts of Mahatma Phule & Dr B.R. Ambedkar, M.A. Women’s Studies, Master of Arts History, M.A. Thoughts of Mahatma Phule and Dr Ambedkar, Master of Library and Information, Master of Arts Mass Communication and Journalism, M.Phil. History, B.A. Home Science (Special) etc. Faculty of Social Sciences and Science offers courses in- B.Sc. (Home Science), Master of Arts Home Science, B.Sc. Textile & Interior Decoration etc. The exam was be held in the month of March/ April 2017. When the timetable is officially announced on the website at http://bamua.digitaluniversity.ac, the candidates also receive the paper-wise schedule. The exam is usually of 3 hours duration.